A little glimpse into what Sydney will look like by 2030. From Barangaroo to Green Square, Parramatta to Circular Quay, Sydney's seen more than its fair share of construction lately. Newly proposed, multi-million-dollar developments are popping up all over the city, employing forward-thinking architectural teams and designers to transform the city visually and practically into a city prepped for the future — however either celebrated or controversial plans may be. From new food-focused precincts to world-class horticultural experiences, Sydney's newest design projects are aiming to take the city into a new realm of urban possibility. Here are ten paving the way for things to come. You'll note the Powerhouse Museum isn't in here, we'll bring you more on its impending Western Sydney move soon. They've kept us in suspense for an age, but one Sydney's most talked about developments, Tramsheds, has finally announced an opening date: September 22. The Tramsheds project, built in the bones of the heritage-listed Rozelle Tram Depot in Harold Park by developers Mirvac, will house a European-inspired market hall, lined with small, high quality and bespoke food retailers, alongside a 2440 square metre IGA Supamart supermarket (try saying that ten times fast). Now, in your mind, a giant grocery chain might not mesh well with local providores, but the Supamart is less like your local Woolies/Coles than you might think. It's a family owned and run business — by brothers Andrew and Vasilli Karellas — with a focus on organic and local produce . There's a host of already announced Tramsheds foodies planned for the site too, including Tokyo Bird (to open Japanese restaurant Osaka Trading Co.), Melbourne chicken kings Belles Hot Chicken, Butcher and The Farmer (a deli/butcher/restaurant triple threat run by Jared Ingersoll); sustainable seafood restaurant Fish and Co; tapas restaurant Bodega 1904; ice cream kings Gelato Messina and Flour Eggs Water, a new establishment run by Eugenio Maiale. We can expect a dozen more foodie announcements over the coming months, giving fellow rosy suburb Rosebery a run for its money. 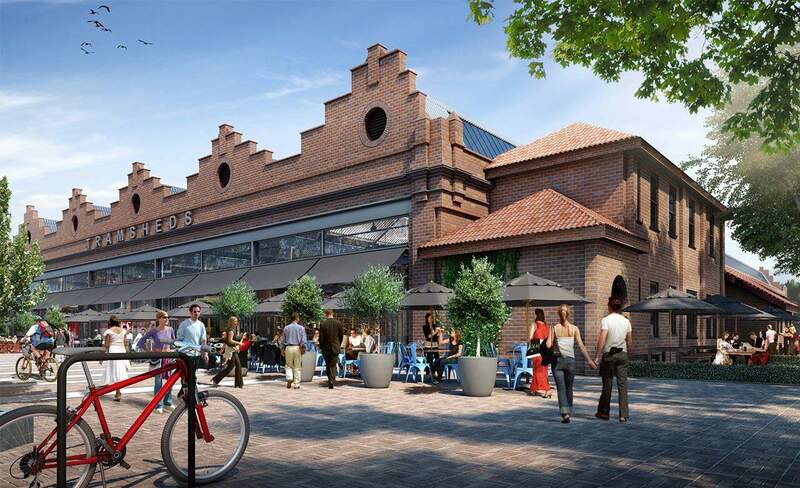 There's also a medical centre, gym, hairdresser and nail bar planned for the Tramsheds, and a number of cycle paths are currently under renovation — with plans for over 80 bike racks to be installed across the site. Tramsheds will open September 22. Sydney's Royal Botanic Garden turned 200 in June — and it landed itself one humdinger of a birthday present. 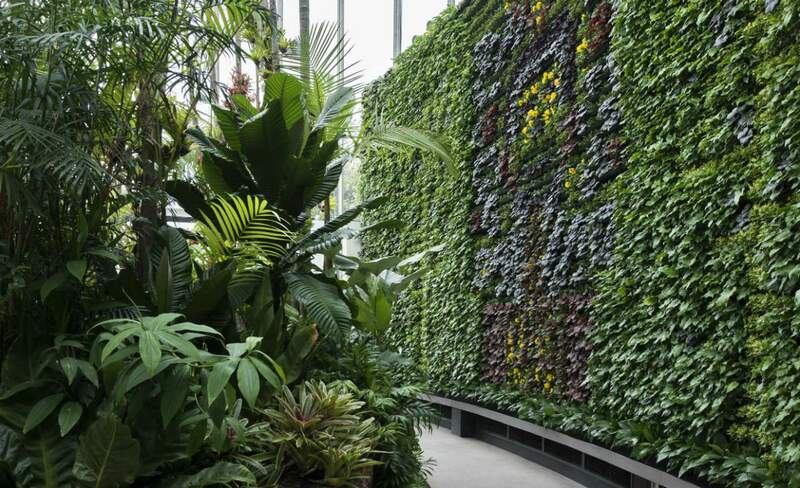 Meet The Calyx, the Garden's new world-class horticultural experience. Opened to coincide with the official opening date of the Botanic Gardens on June 13, 1816, 200 years ago, this dazzling new UFO-shaped public space not only houses thousands and thousands of plants, but gives Sydneysiders an escape from the city's busy streets and relentless traffic. It also provides a new outdoor home for fun, innovative exhibitions. The first, now open, is Sweet Addiction, the botanic story of chocolate from bean to bar. Starting your journey deep in a tropical rainforest, you'll make your through ancient history and chocolate plantations, before reaching a tasty pop-up shop — the site for many future chocolate activities and tastings. The Calyx is open now at the Royal Botanic Garden Sydney, 10am to 4pm daily. One of Sydney's industrial heartlands is going to look pretty different by 2030, as the City of Sydney designs a new town centre for the area — by then the suburb will be home to more than 54,000 people. The 278-hectare Green Square development includes a creative hub, an aquatic and childcare centre, and more than 15 new parks and open spaces, set to be revealed at staggered times between now and 2030. One of the most exciting aspects is a coast-inspired aquatic centre by Andrew Burges Architects, in association with Grimshaw and T.C.L., who won the City of Sydney's Green Square Design Competition. The plan includes a 50-metre outdoor pool, built within a larger, organically-shaped 'beach pool'; a 25-metre indoor pool; and a health and fitness centre. These facilities will be encompassed by Gunyama Park, which is to be revamped with the addition of a promenade, native landscaping and play equipment. All in all, the development will cover an area equivalent to three football fields. But Green Square won't be a plain practical canvas of a space. For about 18 months now, the City of Sydney has been promising an epic public art program. Well, it wasn't a hollow proposal, with artworks planned for reveal by 2018. For a start, the precinct's futuristic, architect-designed library will be scoring two brand new works by Aussies, selected from 90+ submissions — Cloud Nation by Claire Healy and Sean Cordeiro (a vintage Beechcraft Travel Air plane, suspended in mid-air and covered in a teeny-tiny miniature world) and Sydney's Michael Thomas Hill and Indigo Hanlee (Lightwell) will be installing their High Water, in the library's external public plaza (a mammoth-sized LED display of local weather patterns and tidal information, fed by live data). Green Square will be completed by 2030, with staggered reveals until then. 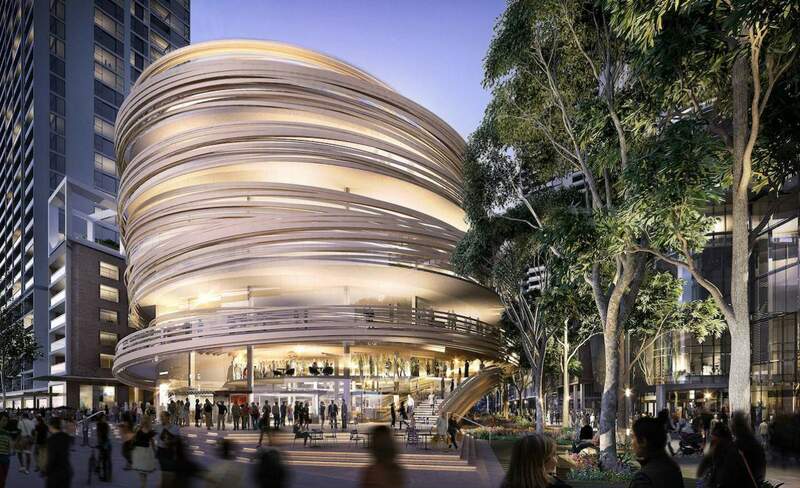 A spiralling, futuristic community library is in store for Darling Square. Across its two floors, you'll find not only tens of thousands of books, but also a bunch of extra facilities, including a 'makerspace' and an 'Innovation Exchange Program' for creative startups. 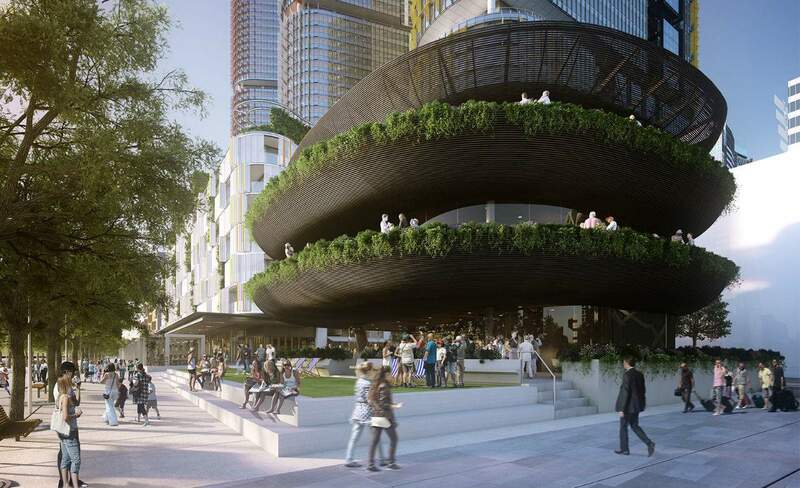 Designed by Japanese architect Kengo Kuma and proposed by Lendlease, the building will have six storeys altogether, with another two floors occupied by a commercially-run childcare centre — as long as all plans get the green light. The agreement means that the City of Sydney will lease the 2225 square metre space for 99 years. The rest of the terms are confidential at this stage, but we're expecting them to be ready to go by the end of 2016. And, if everything runs according to plan, the library will open in 2018. "The redevelopment at Darling Harbour includes a new residential and commercial area with 4200 new residents and 2500 new workers," Lord Mayor Clover Moore said. "High-density living is an important part of our city's future, but to be a success it must be supported by great community facilities, which is why we're so pleased to see a project like this that meets the city's standards of design excellence." Darling Square Library is planned to open in 2018. The State Government has given the go-ahead to a controversial development project on the site of the heritage-listed Abercrombie Hotel, one that will see the shuttered corner pub dwarfed by a 16-storey apartment building and office complex. The imposing glass tower was designed by the award-winning London architecture outfit Foster and Partners alongside Sydney-based firm PTW, and is the latest step in Frasers Property Australia's $2 billion Central Park development. 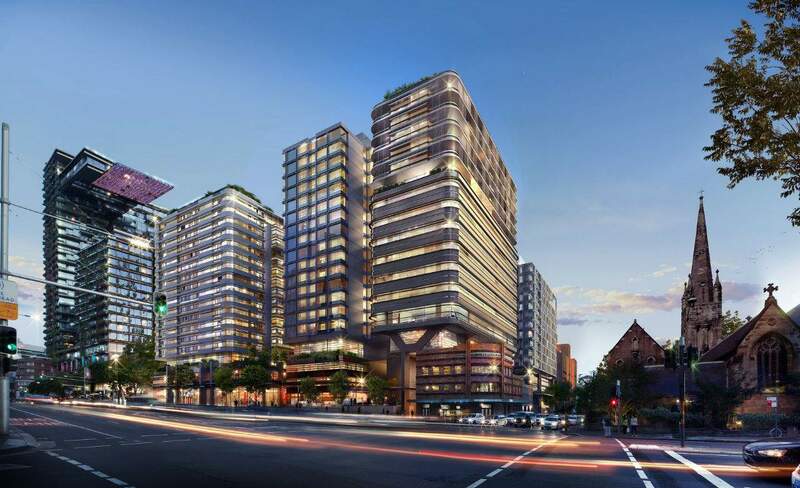 It will contain commercial offices along with a childcare centre and 48 apartments, while an adjoining 18-story tower will house 293 hotel rooms. As for the pub itself, Sydney mega-restaurateur and MasterChef hanger-on Matt Moran is taking over ownership of the Abercrombie Hotel. The iconic Chippendale venue, officially known as The Australian Hotel, was renowned for its sticky floors and raucous club nights, but ceased operation in 2014. A resurrection has been on the cards for a while now, with Moran's company Solotel Hospitality Group inking the deal this week. Just don't expect the return of S.A.S.H. or Purple Sneakers. "Our refurbishment of The Australian Hotel will see the pub restored to its original art-deco glory including its rear courtyard beer garden," said Solotel co-owner Bruce Solomon. "Solotel will deliver a contemporary expression within the original heritage character of the pub reminiscent of this bygone era whilst ensuring its seamless integration into the broader Central Park precinct." In addition to the main building, Moran and Solomon have acquired the three adjacent terrace houses facing Abercrombie Street, with an eye to opening a European-style wine bar. With work on final Central Park plans still ongoing, however, neither venue is expected to begin trading before 2018. The Abercrombie Hotel is expected to begin trading sometime in 2018. With various elements already in full swing (and plenty to come) Barangaroo is one of Sydney's most visible new precincts — and one of the most controversial. Although the City of Sydney (for one) slammed certain elements of it, James Packer's $1.5 billion casino tower project has been approved, Barangaroo has successfully generated positive buzz by appealing to our stomachs — the food and drink aspects of what's known as The Streets of Barangaroo. We've brought you plenty of news of bars, restaurants and cafes opening already in this waterfront precinct, from Anason to Rabbit Hole, Belle's Hot Chicken to Noma. But one of the most exciting developments up ahead for the area is a giant, three-storey salad bowl. 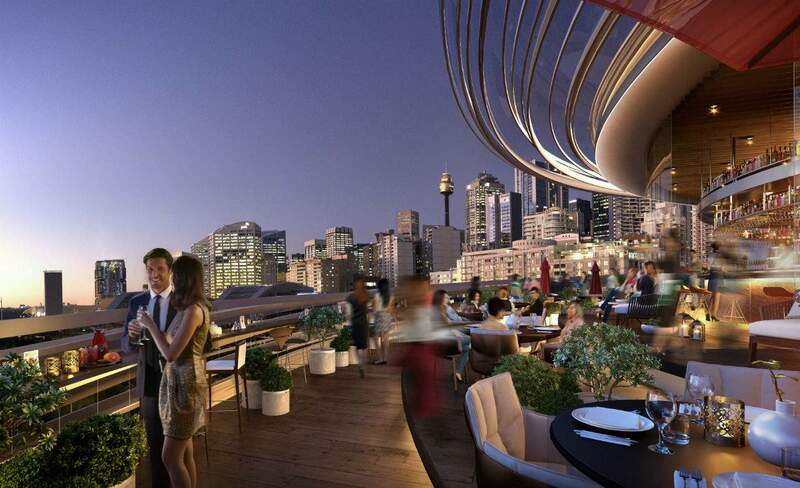 Just one of a host dining precinct plans for the billion-dollar waterfront, leading Australian chef Matt Moran has announced he will create a three-level dining experience with business partner Peter Sullivan, along with Bruce and Anna Solomon of Solotel. The formidable MorSul/Solotel foursome, who have previously teamed up to deliver ARIA Sydney, ARIA Brisbane, CHISWICK and North Bondi Fish, make up the dream team who revamped Opera Bar. Moran's three-level Barangaroo offering is set to open in 2016. Designed by Sydney architects Collins and Turner, the epic new establishment will resemble a series of stacked shallow bowls or varying sizes — glorifying your everyday kitchen essentials in a colossal waterfront palace. Moran's pet project will sit at Barangaroo's southern end, marking a grand entrance point for the waterfront dining precinct. "When we were first approached by Lend Lease about joining the precinct, it was the location of the site which was key in our decision making," says Moran. "We intend to deliver a truly Australian experience at this world-class waterfront venue. Whether you are looking for a casual bar and restaurant, a more premium restaurant or a rooftop garden bar, we will have it all with our offering at Barangaroo and use only the best locally sourced produce to create a showpiece of Sydney dining." Matt Moran's yet-to-be-named Barangaroo establishment will open in 2016. Despite claims by the University of Technology Sydney that some people actually like the Brutalist-style UTS Tower, it's known to haters citywide as one of the least subtle buildings in Sydney. But UTS has new multi-million dollar plans for an attached 'student hub'. Building 2 of the tower will get a complete makeover and act as a shiny new distraction from the structure allegedly designed so students couldn't meet each other, form groups and protest (it's a myth but we love it). 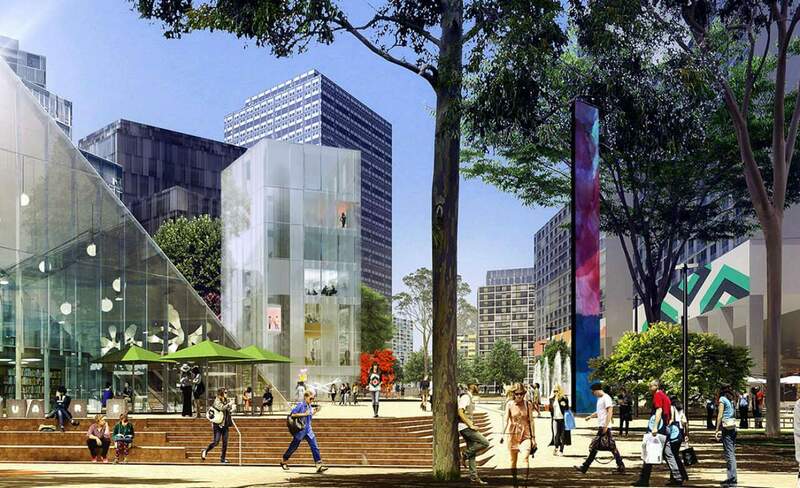 The 16-level, glass-sheathed student hub will replace Building 2 on the corner of Broadway and Jones Street. The project, titled UTS Central, is said to start this year and finish in 2019, costing a whopping $278 million. The new development does sound pretty swank, though — there are plans to include a library with a twisting tri-level reading room, research areas, teaching spaces, a student centre, the student union, and a dining hall. Top it all off with an outdoor terrace and rooftop garden and the futuristic glass structure will at least be keeping students happy. 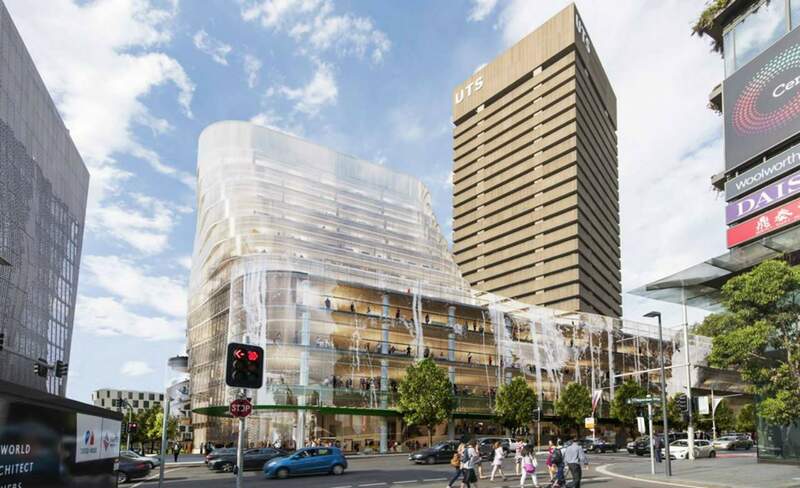 UTS Central is the next in the campus revamps, following the recent $180 million Frank Gehry-designed business school that has also received mixed reviews. UTS Central is set to open in 2019. 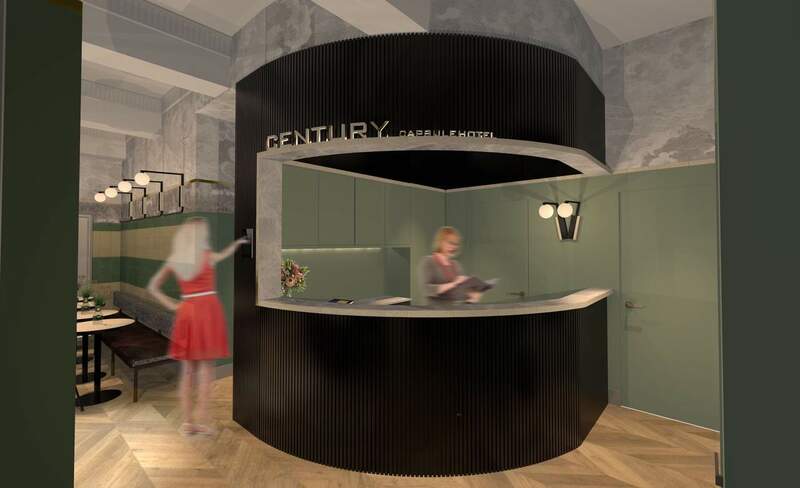 Sydney's CBD is getting a major dose of the Tokyo-esque practical and compact, with plans to renovate Bar Century, rebrand it as The Century, and fit it out as a three-storey, luxury capsule hotel being announced last week. The George Street institution, which closed earlier this year, has been taken over by developer Walter Yao, who is investing a massive $5 million on a full interior refurb, which will be carried out by interior design consultants Giant Design. The heritage building will retain its vintage fit-out and have a "Soho House vibe", with the bar and hotel running as separate entities. The first two levels will act as The Century's cocktail bar and nightclub, while the top three floors of the building will be dedicated to the Century Capsules. 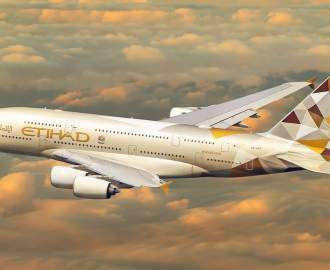 These capsules are certainly more luxe than most you'll find in Asia. Each of the 72 capsules will contain a large LED screen and entertainment system, Wi-Fi, and even 'mood lighting' (whatever that means). Guests can choose from single or deluxe beds with entry from either the side or the end of the capsule. The communal facilities include a kitchen space, breakfast bar, lounge area, rooftop terrace and individual bathrooms. If you're worried about security, don't be — each capsule is fitted with a secure lock and the security desk runs 24-hours. But let's set the record straight — The Century is not going to be a hostel, and it's not aimed at overindulgent locals that can't seem to make it back home. 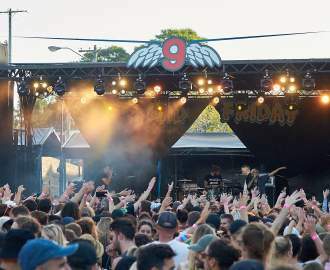 And while the CBD haunt may have closed because of the lockout laws — and been a central part of a huge lockout protest as a result — these new digs are not meant as a lockout solution either. The Century is set to open in late November 2016. Come future Friday nights, you're soon going to have another excuse to grab Emperor's Puffs from the Chinatown markets. 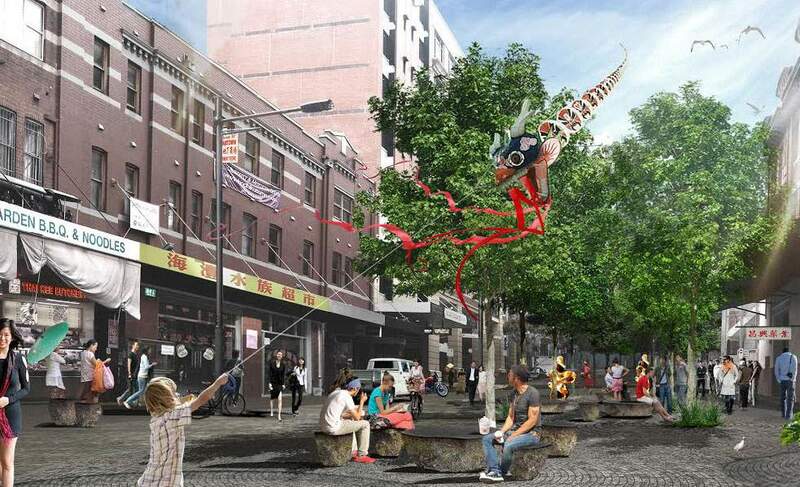 The streets of Haymarket will be transformed into a pedestrian friendly, tree-lined space in a move to refurbish the area announced by the City of Sydney. Now under construction, the proposed new plaza in the heart of Chinatown promises to put pedestrians at the top of the priority list. Thomas Street will become a pedestrian-friendly walkway and public space, with more lighting, seats, wider footpaths and a no-car policy during busy periods — so you can finally enjoy your street food goodies distraction free. Road closures are planned between Ultimo Road and Thomas Lane, while Thomas Street will become one-way only between Thomas Lane and Quay Street to make things safer for pedestrians. Visitors will also be able to enjoy public art from Australian contemporary artist Lindy Lee while walking through the streets of Chinatown. Lee's work is preoccupied with the idea of self in the world, as captured through her own negotiations with her divided Chinese-Australian heritage. Chinatown's revamp is currently under way, installation dates TBC. We're keeping everything crossed for this one, just to see if it actually works. Teetering over 50 metres above George Street beside Sydney Town Hall, a streamlined, cloud-shaped arch is one of three brand new public artworks coming to Sydney's CBD — to be installed as part of the City of Sydney's George Street-based revamp. Designed by Tokyo-based architect and artist Junya Ishigami — winner of the coveted Golden Lion for Best Project at the 12th Venice Architecture Biennale and visiting professor at the Harvard Graduate School of Design — Cloud Archwill act as a gateway to the soon-to-be pedestrian-friendly George Street, with the brand new light rail passing right underneath it — kind of like an elegant, minimalist Colossus of Rhodes for Sydney's CBD. "Green, global and connected are the characteristics of the new Sydney, and this new public space about to be created in George Street will be the exact manifestation of these qualities," says Ishigami. "Good public policy is not, in itself, enough — there is a need for a new symbol to embody and communicate these qualities to the world. The Cloud is that new symbol, comprehensible to all. The Cloud evokes comfort, openness and freedom." At 50 metres high and significantly ribbony, you might be wondering how Cloud Arch will stand up to those pesky CBD wind gusts or densely-populated flocks of art-hating birds. Using a single box beam as the central construction framework, Ishigami's tapered steel plates will apparently stand up to the elements without a hitch. Cloud Arch will also change shape from wherever you're getting a crick neck looking at it around the CBD, classic perspectival win (it should be visible from as far north as Wynyard station, the old site of the Coca Cola sign on Darlinghurst Road to the east and Liverpool Street to the south). Dates for Cloud Arch are yet to be announced.